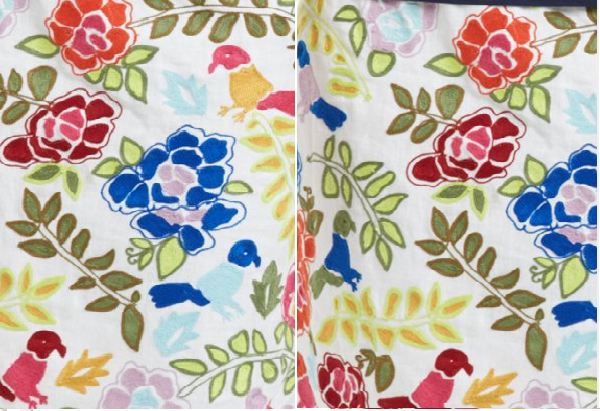 Today while scouring Anthropologie’s site for new arrivals, and searching for pieces to lust after, I instantly fell in love with their La Festa Pencil skirt, because it instantly reminded me of this Alexander Henry fabric I purchased from Fabric.com last month. 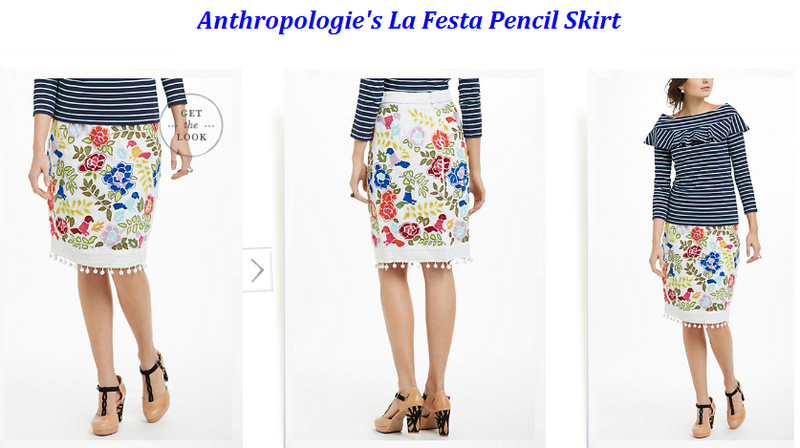 What differentiates Anthropologie’s skirt and Alexander Henry’s fabric is the embroidery on the La Festa skirt, and Alexander Henry’s fabric is more vibrant, other than that the print is very similar. What do you think? 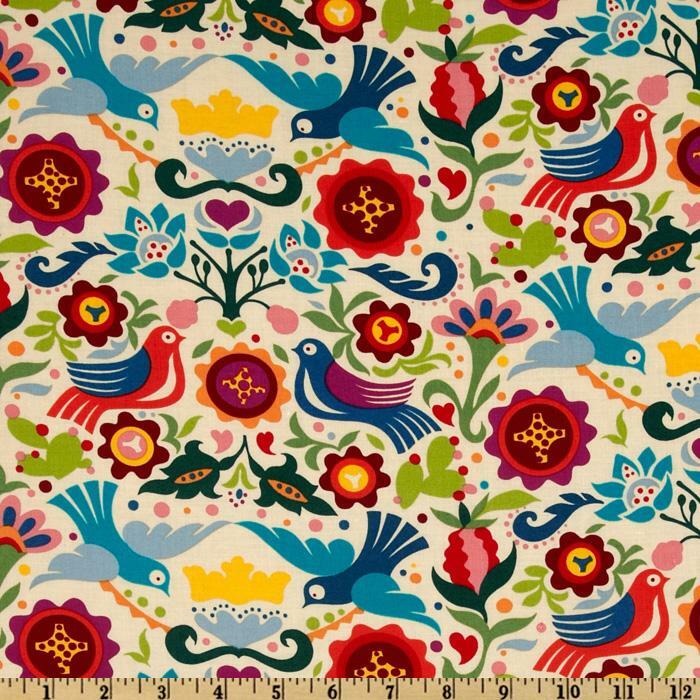 Tags: sewing, style inspiration. Bookmark the permalink. Super cute and colorful! I adore Anthropologie, they have the cutest and unique stuff. I know what you mean, I also love Free People.